Diorama projects have been a school project staple for decades. Kids enjoy creating these small-scale three-dimensional environments out of shoeboxes and small items, and teachers find these hands-on learning activities to be effective in teaching children how to creatively demonstrate, synthesize and present information in the classroom. Learn about common diorama projects to help inspire and guide your child through his next diorama activity or assignment. Grown-ups may also enjoy creating these small-scale environments as a leisurely craft activity or to add to a room’s theme or décor. Ecosystem environments and habitats are popular, science-based diorama projects. Make an ocean diorama by painting the inside of a shoebox blue and then decorating the inside with small, plastic fish bowl plants and accessories. For a rainforest diorama project, use fresh potting soil and real foliage for a natural effect. For tundra or other arctic environments, use styrofoam cones, white felt, cotton and a can of spray snow to create snow-covered scenes. 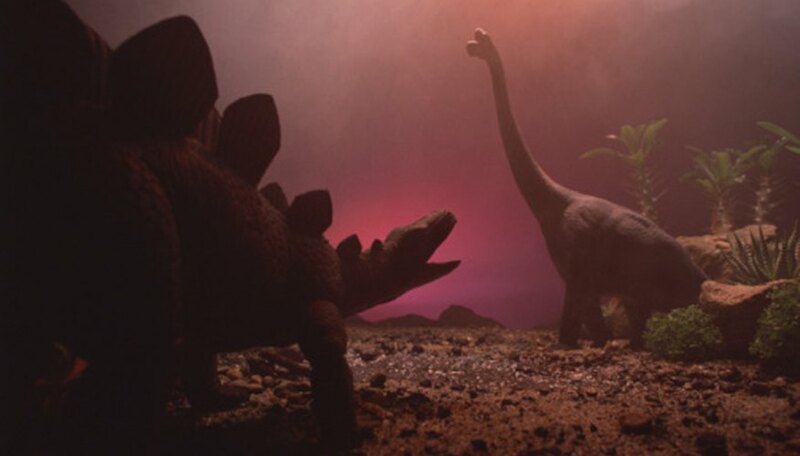 Dioramas are a creative way of representing a climactic scene from a book or movie. Use dollhouse furniture to recreate the environment, and draw or make small figures out of clay to represent characters. For movies, print out a small image of the character, cut it out and glue it onto a wooden craft stick or a small, folded piece of cardboard. Position the image inside the diorama and secure it with craft glue, tape or safety pins. Recreate historic events in a small-scale, three-dimensional environment for a unique history project or conversation piece. Paint and incorporate small models and train set figurines into shoebox settings to bring infamous battle scenes, rallies, natural disasters and other iconic historical events to life. For complex backgrounds, print out color images of landscapes or other settings and tape them into the sides of the shoebox. Kids and grown-ups alike may enjoy making a space diorama that captures or recreates an intriguing image, planet or star constellation. Paint the inside of a shoebox black, and use glue and glitter to make star clusters. Use small foam balls, craft paint and invisible fishing line to make and hang planets and stars from the top of the box. Miniature rooms are also fun to make with small dollhouse wallpaper and furniture. For a more challenging diorama project, try bringing a favorite painting to life by recreating it three-dimensionally inside a shoebox with cardboard, construction paper and printed-out images. DLTK Teach: "What is a Diorama?"